Disclosure: I was provided a Verlo-To-Go Mattress in exchange for this post. What is the latest and greatest way to order a mattress? Get it shipped directly to your doorstep! A mattress shipped in a box without the hassle of the mattress store? That is just what I did with my Verlo-To-Go Mattress! Ordering a mattress online has been trending over the last few years, and it isn’t slowing down. A number of people I know have ordered mattresses online, including my neighbors and sister. Everyone has had great things to say about mattresses in a box. But when I was considering ordering a mattress in a box, I had a lot of concerns. Are mattresses in a box high quality? Are they sturdy? And most importantly, would it be as comfortable? Well, after testing out the shipping and setup process of Verlo-To-Go and now having slept on the mailed mattress these past few months, I can finally answer the questions I had about ordering a mattress by mail. Here are some frequently asked questions and concerns about ordering a mattress in a box. What is the process of getting a mattress in a box? Order it online with shipping to your doorstep. Take the compressed mattress out of the box and lay it on your intended surface. 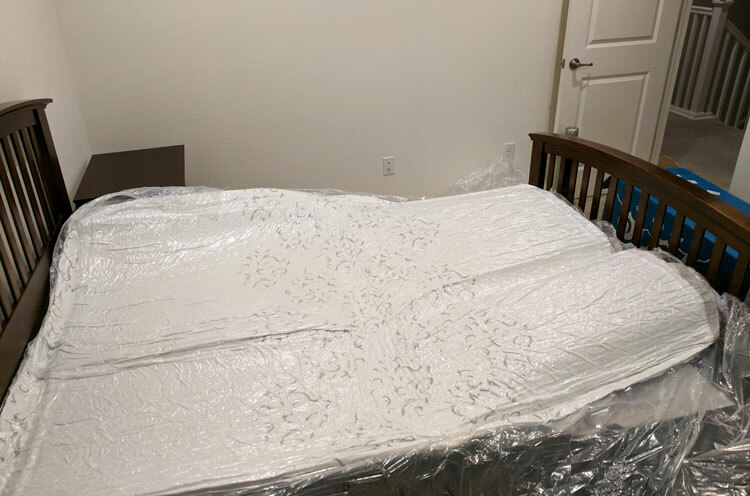 Unwrap the “mattress burrito” (lots of plastic wrap)! Watch the mattress expand and air out (takes 24 hours to fully fluff). Who would use a bed in a box? Anyone! The bed in a box idea is great for so many situations. No way to transport a mattress? No car? Bed in a box. Moving to a high rise apartment? Bed in a box. Living in a big city? Bed in a box. Have no time to visit a mattress store? Bed in a box. Do you move on a regular basis? Bed in a box. Do you live far away from a mattress store? Bed in a box. But really you don’t have to live in a big city or out in the sticks or have a special circumstance to get a mattress in a box. 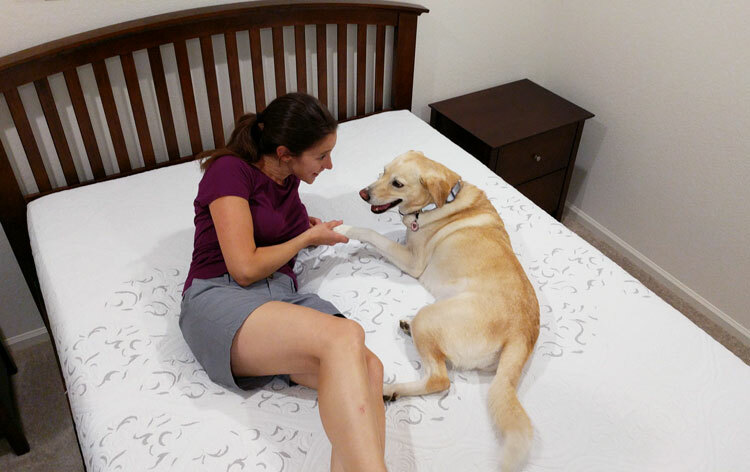 They are a smart solution for anyone who wants an easy to transport, comfortable and less-expensive option for a mattress. Are mattresses in a box comfortable? I have been sleeping comfortably on my queen size Verlo-To-Go mattress. 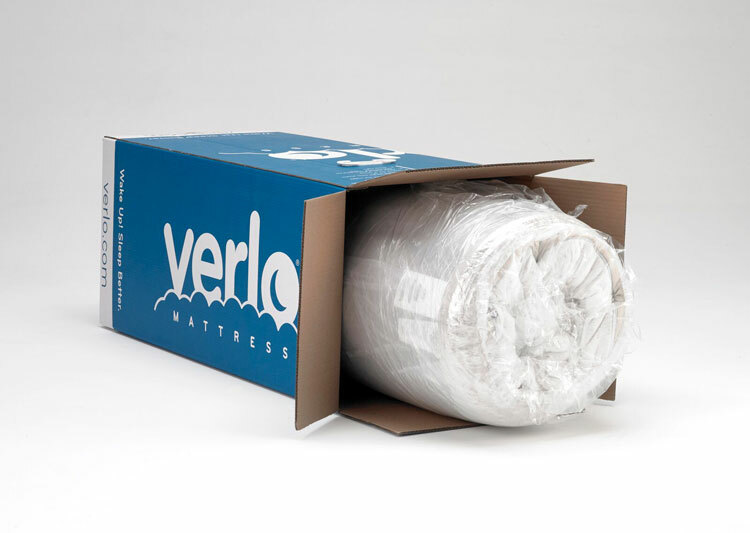 Verlo makes high quality standard mattresses, and their mattresses-to-go are no different. The quality is incredible for something that comes out of a box! I was honestly quite shocked how they compare to a standard mattress, you would never be able to tell the difference! Are mattresses in a box cheaper? Save money when you get a mattress in a box. Just looking around briefly online I found that there is significant price differences in standard mattresses versus mattresses shipped to your door. Sometimes they were 10x the price of the equivalent mattress! It doesn’t take much effort to see that there is a lot of money savings in getting a boxed mattress. 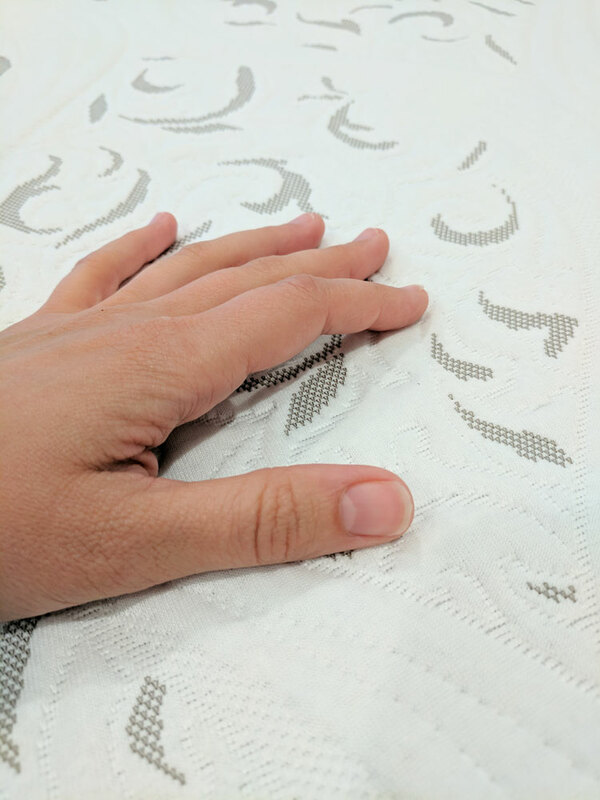 Whether or not to get a boxed mattress? In my opinion, there are a number of reasons why I think boxed mattresses are worth it. First off, the shipping could not have been easier. In just a couple of days after placing my order, the mattress showed up on my doorstep. There is no doubt that the ease of carrying a box up the stairs versus a stiff and bulky standard mattress is a huge pro. The price difference is substantial. 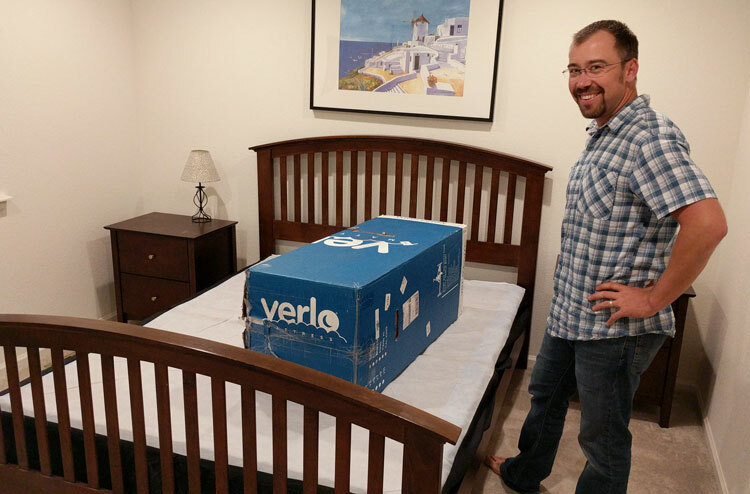 Lastly, I am incredibly happy with my Verlo-to-go mattress. It is more comfortable than mattresses I have previously tried in stores. Replacing our guest bedroom bed was not something we looked forward to doing. You know what it’s like… you need a truck to pick a mattress up or pay big bucks for delivery. It is a hassle! Well, with Verlo-To-Go all of the headache was removed. 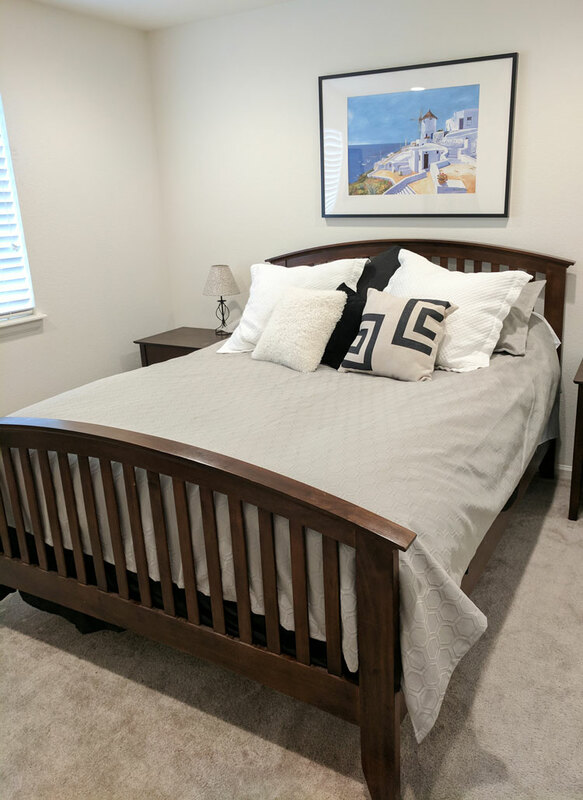 We are so happy with our guest bedroom mattress, that sometimes we opt to sleep in there instead of our own bed! 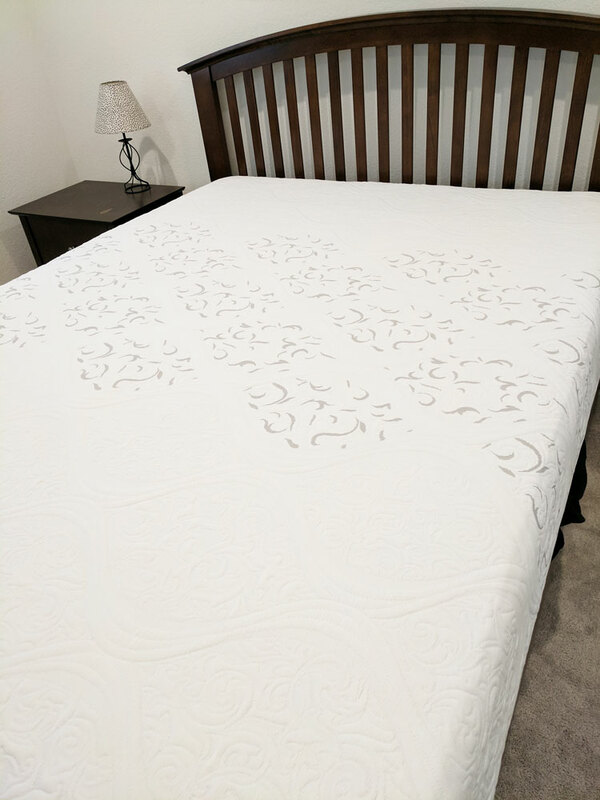 Verlo-to-Go will be our choice of mattress in the future – as long as they keep their excellent customer service, non-prorated warranty, free standard shipping in the continental United States and comfortable gel foam quality mattress. 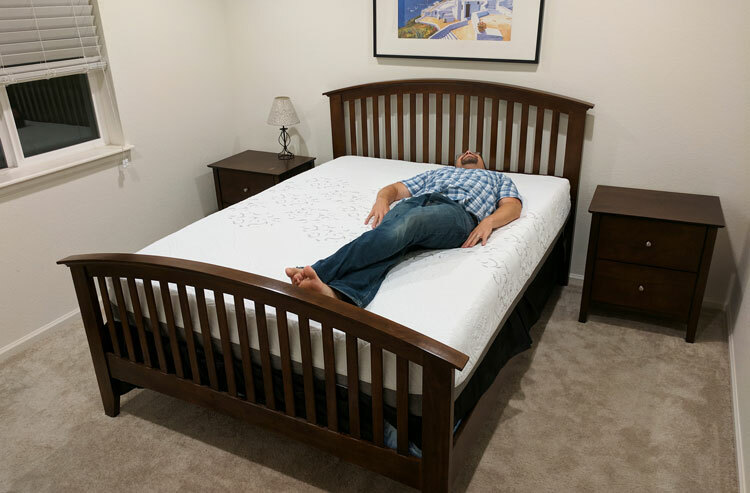 To find out more about the latest compression mattress technology and to order a mattress in a box, check out Verlo Mattresses. Check out my video of the mattress in a box! 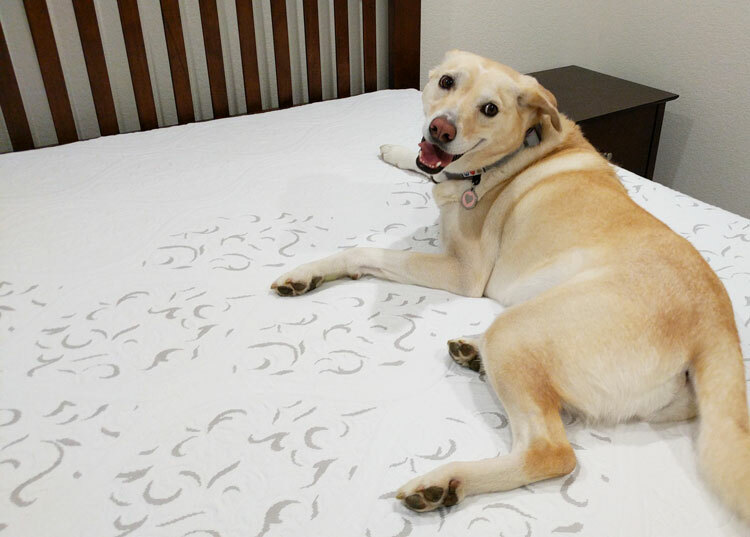 This mattress looks really comfy! I can imagine how much easier it is, to set up, with it already being folded up and all you have to do is unwrap and let if form on your bed! This may be something I will consider in the future. I will check this company out! I am in serious need of a new mattress! It looks so comfortable. Thanks for sharing! I love the mattresses in a box concept! So fun to watch them fluff out, isn’t it? This one is certainly is lovely and looks super comfy. Our son has a mattress like this and it has been perfect for him. I love the convenience of buying mattresses like this. I have not heard of this company before. When we are ready for a new bed for our daughter I will look this one up. Thanks! Hmm. interesting. You’re right, this really helps when you move a lot. It looks very comfy, I will look into it. I’ve bought a lot of mattresses and the stores have been shady. Like one time I pick one with a pillow top and they delivered one without even if I paid for the one with pillow top. I ended up paying $50 extra for them to deliver again what I really ordered. Can you believe that. I was looking for a mattress for my daughter’s bedroom. Your post is on right time. The mattress looks fluffy and comfy.will surely check it out. Oh my goodness! How cool is that!? I love that you can get it up stairs and have it expand once it is in place. My daughter could use a new mattress, but I’ve been dreading the tight corner to get into her room. Love this! What! That’s so cool how it literally just inflated or grows? Who knew you could order a mattress online and actually be able to move it easily. This is crazy, I’ll have to check it out next time we need to replace a mattress. The whole boxspring thing seems useless anyways. I have a few friends who have ordered similar mattresses online. To be honest, I was skeptical! But once I saw them in person (and lied down on them) I was amazed! This is so cool with the rolled up mattress. I am actually looking for a cheaper alternative to what I have right now. I will definitely be checking this out because I really need something with the old mattress I have on my bed really not cutting it any more.